This library is based on the PhotoVoltaics and the Buildings library. More information can be found at the User's Guide of the PhotoVoltaics library. 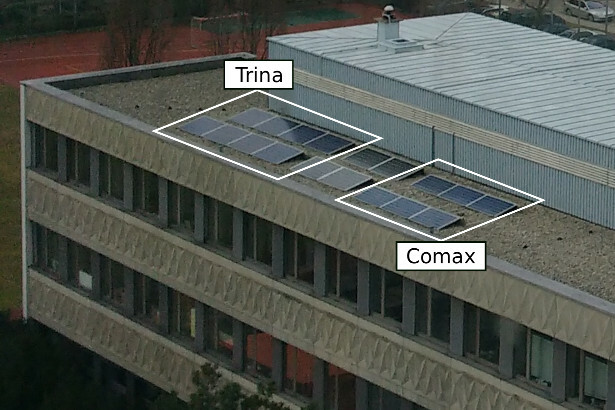 The data base of this library are two photo voltaic power plants at the TGM in Vienna, Austria. The GPS coordinates are 48.237111°N, 16.369000°E. For these two plants different irradiance sources are investigated. Measured data are also provided and may be compared with simulation data.